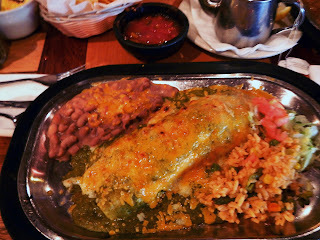 Food Adventures of a Comfort Cook: Francisco's of Durango, Colorado is Old World Mexican. 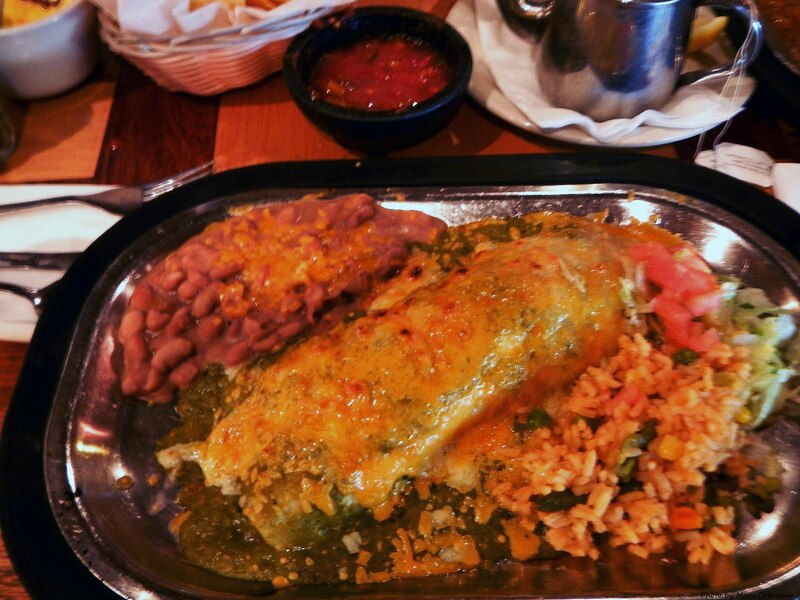 Francisco's of Durango, Colorado is Old World Mexican. The first time I ever experienced Francisco's was my first visit to the Southwest, back in 2006. 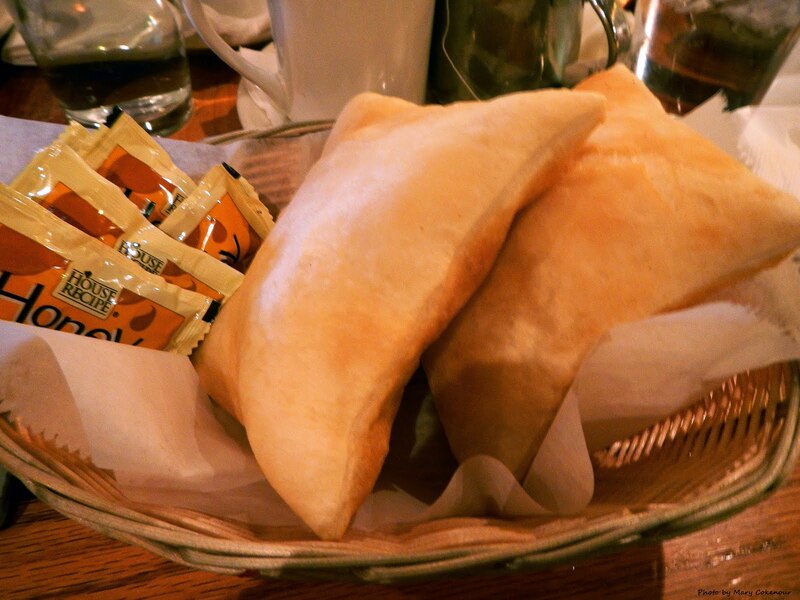 I was fascinated by the decor, more reminiscent of a Mexican hacienda, than a cantina; and totally wowed by the food. This was authentic Mexican cuisine and I loved it; getting one of their many combination platters was the best way to sample as much as I could. For my birthday, December 26th, I decided to celebrate it in Durango, and most especially, by eating at Francisco's once again. Oh, since moving to Utah we had gone several times before, but this was my birthday and I wanted the best Mexican food in the area. My husband Roy, and son Bill, were along for this adventure. Once seated at our table, drink orders were taken and we were served with Francisco's own salsa which is available for sale at the front counter, and warm tortilla chips. My husband ordered: Combo #6 Enchiladas Rancheros which is one beef and two cheese stacked enchiladas smothered in green chili and served with an egg on top. 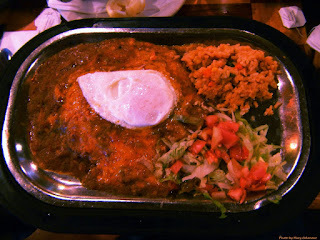 The green chili is mild and becomes increasingly rich when the yolk from the egg is mixed in. 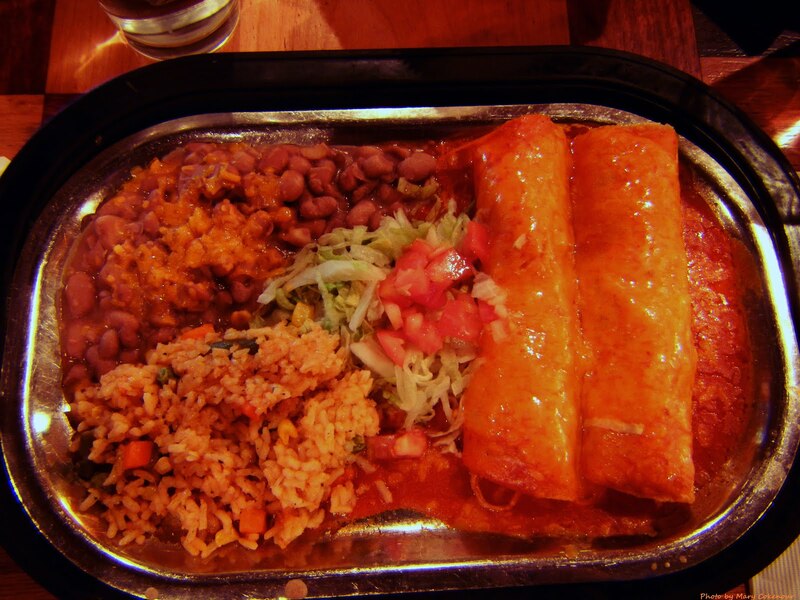 I ordered: Combo #12 Enchiladas de Pollo which is two chicken enchiladas served with Spanish rice and beans. The shredded chicken is very tender, but the red sauce is spicy and makes your taste buds salsa dance. My son ordered: Combo #19 Burrito de Puerco which is seasoned slow-cooked pork wrapped in a flour tortillas and topped with salsa verde, jack and cheddar cheese. The salsa verde was a sweeter type of sauce and the pork was very tender. All the combination plates came with fluffy rice and refried beans which were smooth, not pasty. For dessert we enjoyed Sopapillas, deep fried tortillas that puff up to a crispy shell on the outside and fluffy goodness on the inside. Opening one up, the steam escapes and drizzled honey inside makes the experience a complete joy. By the way, if you like fish tacos, try Francisco's Combo #17 Fish Tacos: Two flour tortillas filled with grilled tilapia, lettuce, cheese, black beans and Tabasco mayo. Served with avocado relish and all absolutely delicious!!! 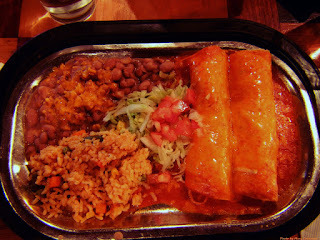 Visiting the Durango, Colorado area and in the mood for Mexican, do not pass up Francisco's.